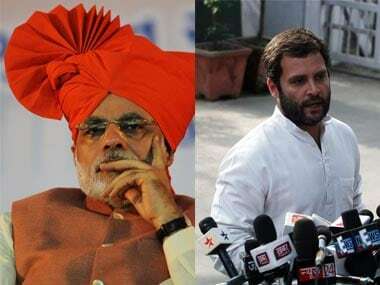 Eyeing Narendra Modi's bastion, Congress vice-president Rahul Gandhi fired fresh salvos at the BJP-led governments, both in Gujarat and at the Centre, on the final day of his three-day trip to Gujarat. From the much-touted Gujarat model of development to the Centre's 'anti-farmer policies' and a failure to translate a great "marketing bid" into actual groundwork, Gandhi was unforgiving in his speeches. He also sought to woo farmers and the Patidar community, who the Congress party feels are miffed at the BJP government's policies both in the state and the Centre. 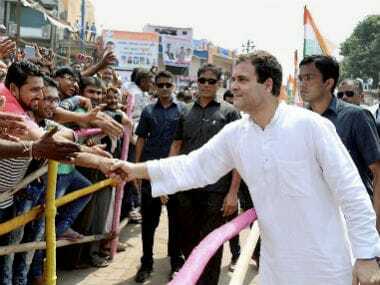 On the final day of his 'Navsarajan Yatra,' Gandhi made his first stop for the day at Chotila in Surendranagar district, reported The Indian Express. Addressing a gathering at the base of Chotila hillock, Gandhi said, " What has happened to development in Gujarat? This is the first time that development has gone mad." "Vikas gando thayo chhe (development has gone mad)," he added in Gujarati. Gandhi also promised to waive off farm loan if his party is voted to power, The Indian Express report added. "The Congress government waived off loans in Karnataka and Punjab. This trend will continue in Gujarat, if Congress is voted to power", he said. He also took the opportunity to corner the ruling party, as a senior BJP leader sounded notes of dissent in criticising Modi government's economic policies . BJP veteran Yashwant Sinha has on Tuesday criticised the BJP for the hasty implementation of GST tax reform and Modi's poorly conceived demonetisation bid. "I shall be failing in my national duty if I did not speak up even now against the mess the finance minister has made of the economy. I am also convinced that what I am going to say reflects the sentiments of a large number of people in the BJP and elsewhere who are not speaking up out of fear", the former finance minister had said. On Tuesday, Gandhi had said that the "much-touted Gujarat model is about the government working for the interests of a handful of corporates at the cost of the farmers, the poor and the small businesses". 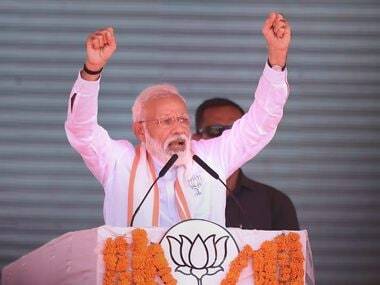 Addressing a public gathering on the outskirts of Tankara town in Morbi district on Tuesday, Gandhi said that "The BJP does not listen to people, it has already decided what is right and what is wrong on its own without consulting the people. They think they have all the knowledge. They have assumed the role of a loudspeaker and go on dishing out their self-righteousness," Gandhi asserted. 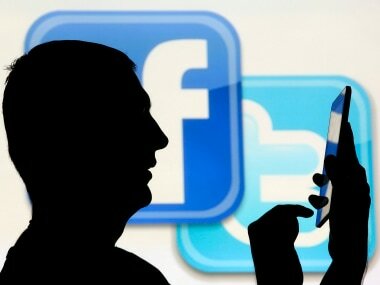 "They give good bhashan (lectures and speeches), do good marketing, but little work," he said. Later in the day, he addressed a gathering at Dhrol town of Jamnagar where he tried to woo the Patidar community, Financial Express reported. Referring to the police firing on Patidar youths during their 2015 agitation for quota in jobs and educational institutions, Gandhi said “if the Congress comes to power, the government will not fire on them". The campaign is aimed at countering the BJP's "hardline Hindutva stand", the report added.